Download the Romeo’s app on the App Store. Start ordering Romeo’s Pizza and delicious food and earn 1 point for every $1 you spend. Points usually appear in your account within 24 hours. Once you’ve earned 100 points you will receive a coupon for $10 off your next order. On the anniversary date you joined Romeo’s Rewards, you will receive a coupon for either a Large order of Breadsticks or Super Loaded Breadsticks for free! 1. When you order, enter the promo code during the checkout process on the website or in the app. 2. Confirm your promo code by clicking “Apply”. 3. Enjoy your Romeo’s Rewards! Please note that our third party rewards system does not communicate with the following email providers: aol.com, sbcglobal.net, netscape.net, juno.com, netzero.com, excite.com, licos.com, livemail.com, fastmail.com, usa.net and some business accounts. For best results, please sign up with a gmail.com or yahoo.com address. Eating pizza is already great but just imagine if you could get rewarded for it! At Romeo’s every time you order pizza you can receive pizza points to be redeemed in the future! Romeo’s Pizza rewards lets you continue to order the same great Romeo’s pizza you love and earn pizza rewards as a bonus! These pizza points stack up fast and turn into dollars off future orders! 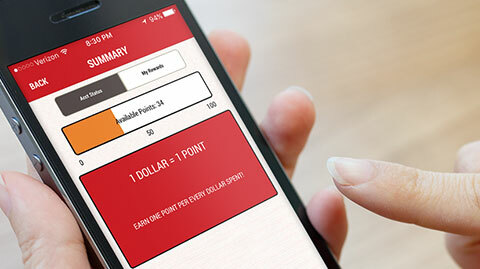 Download our app, find your local Romeo’s Pizza, and start earning today! Sign Up for Romeo's Rewards! Buy pizza, earn points and get rewarded. Super easy to order - download our app in the app store. © 2016 Romeo’s Pizza Franchise, LLC. is not affiliated with Romeo’s Mexican Food and Pizza located in Omaha, Nebraska. Any product names, logos, brands, trademarks, service marks, images, slogans or other indicia of origin featured on this website are solely the property of Romeo’s Pizza Franchise, LLC.